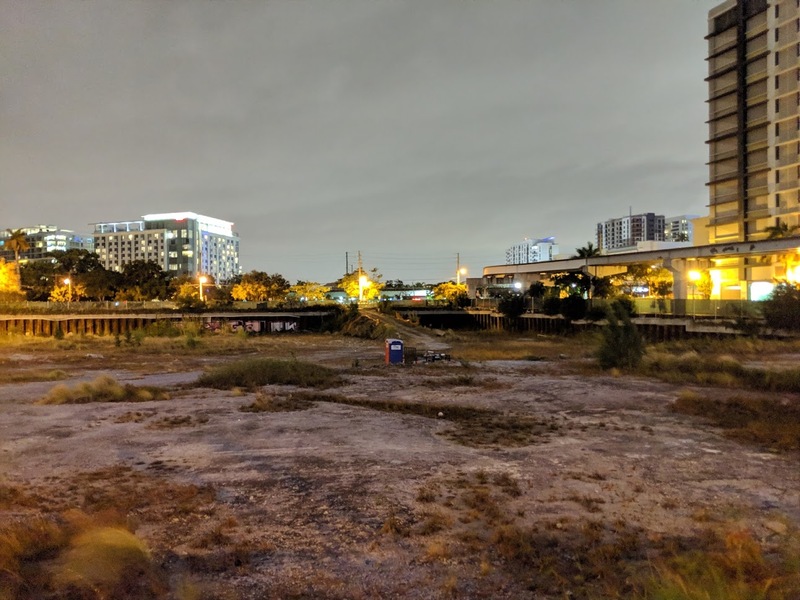 Construction on a wall may soon begin at one of Brickell’s most prominent undeveloped properties, the CCCC Towers site. 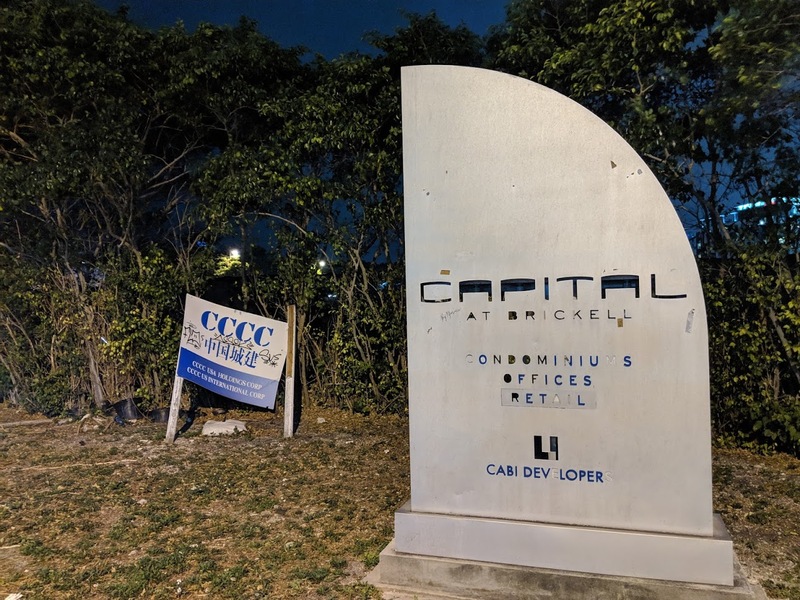 CCCC International USA LLC applied in June 2018 for a permit to build the wall at 1420 South Miami Avenue, city records show. The permit was approved in October and has since been issued. A six-foot CBS fence is being built at a cost of $201,013, the permit states. Oscar’s Home Solutions, managed by Oscar Rodriguez, is listed as the contractor. 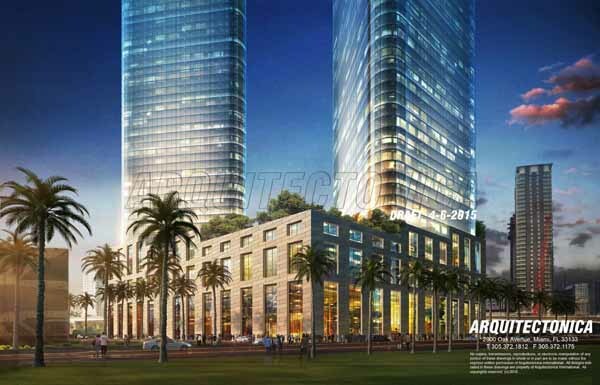 Excavation at the property began last decade by Cabi Developers, which planned a twin-tower project with underground parking. That project was halted, and several layers of fill were never replaced leaving a hole in the ground. The property was sold in 2014 to Chinese developers who now are battling in a Hong Kong court over control. And then the people will stop stealing the sand from there! It’s a crime that they’re stealing our sand! TNM editors please refrain from using the word “Wall” on your articles. This board is full of Bevis and Butthead idiots, as you can see on the comments below. Built the Wall.! Make Brickell Great Again.! Enough with the stupid wall…. Living at Infinity for the last 6 years I have been looking at this empty hole for what seems a lifetime. I wish they would just sell it to Swire and let them do their thing. They did Brickell Key and BCC, I know they would turn this block into something amazing. At the rate we are going it will be 2030 before we seen anything on this lot. Even the Chinese are building a wall before Trump, I hope Mexico will pay for this one at least! It’s across the street from the Mexican Consulate. No, we’re inherently paying for it with all the money China swiped from us after years of Obama, Bush, and Clinton incompetence. China sent us lots of useful things in exchange for paper (Treasury bills, notes and bonds). Hey A. Nonymous, don’t waste your time responding to this clown. You can’t educate Trump believers. “Useful things,” like making us dependent. Funny how liberals love China how they loved Russia twenty-five years ago. Yeah, and it’s funny how conservatives courted China to open up their market to the USA and now we see Cons like you moaning and groaning about it. Kissinger wasn’t a conservative. The conservatives were against it on the basis of delegitimizing Taiwan’s nationalist, albeit equally as totalitarian government at the time, as the legitimate Chinese government in-exile. Fence to keep FOX, ABC and NBC away. Yes.. Funny. The Great Wall of Brickell ! BUILD A SEA WALL AND TIDES WILL FALL! That wall is needed. I can see it from my apartment and the erosion from having the site unkept for so long is starting to eat the sidewalk away. Yeah, you need a wall to prevent people from using the grounds for a picnic. Why picnic there when you have a bigass park across the street less than a block away? People, I was just been sarcastic! I miss the original design of this project! On a real note, the wall was needed. The lot was eroding and the sidewalk was falling into the site. This land has been vacant for too long now. 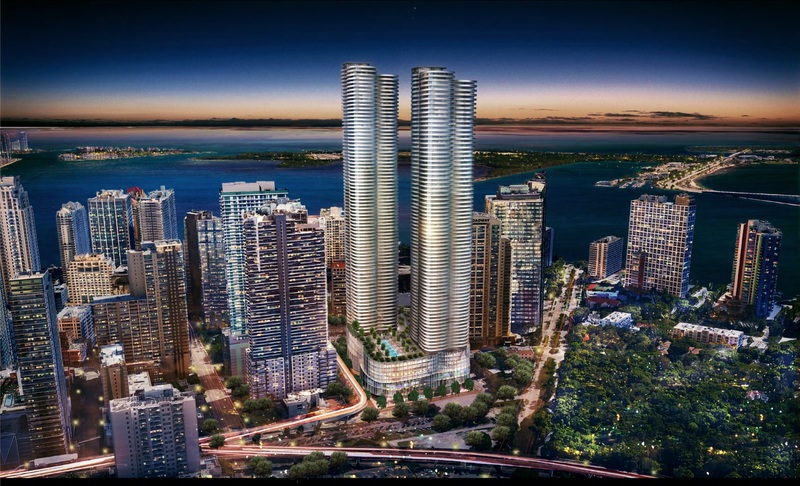 Foreign developers don’t care how much of an eyesore it is for Brickell. LOL, liberal snowflakes disparaging a people who’ve decisively proved that walls can work. The great wall of China didn’t keep the Japanese or Europeans out. Didn’t even keep the Mongols out and they invaded from the north. The Chinese didn’t have superior firepower and landmines. Oh wow, another Trump puppet who’s more interested in a wall instead of being miffed about these Chinese owners doing nothing but bickering over this site. BUILD A WALL AROUND YOURSELF!! !